Easel back signs provide the same table top display capabilities of table tents , but larger and sturdier, and the same larger visual impact of table top retractable banners but at a much lower price point for more temporary applications. 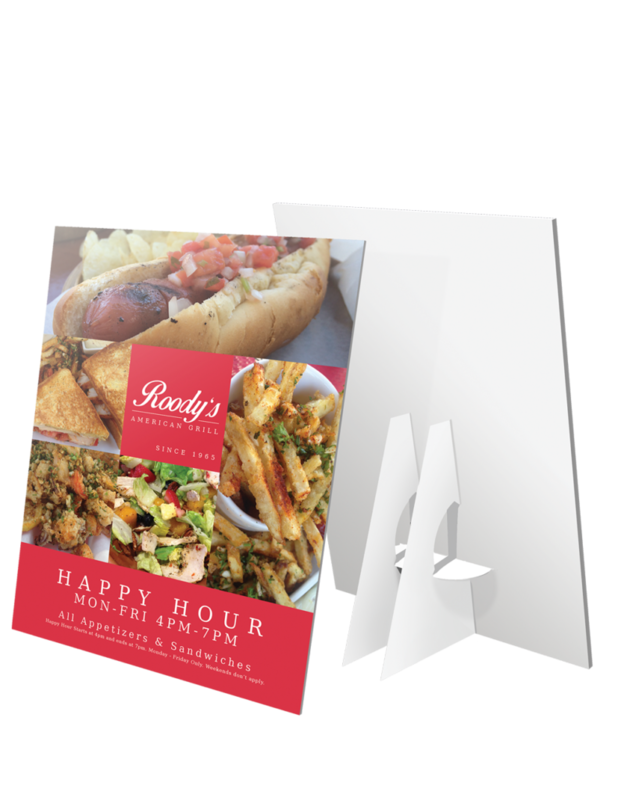 This way you can display more information and larger images without cutting too deeply into your budget. Easel back signs are made by applying a collapsible cardboard backing to any sturdy material, usually foamcore or gatorboard. These signs are great for seasonal counter signs or window displays. Talk to us today about your signage needs and we’ll help you find the perfect solution!